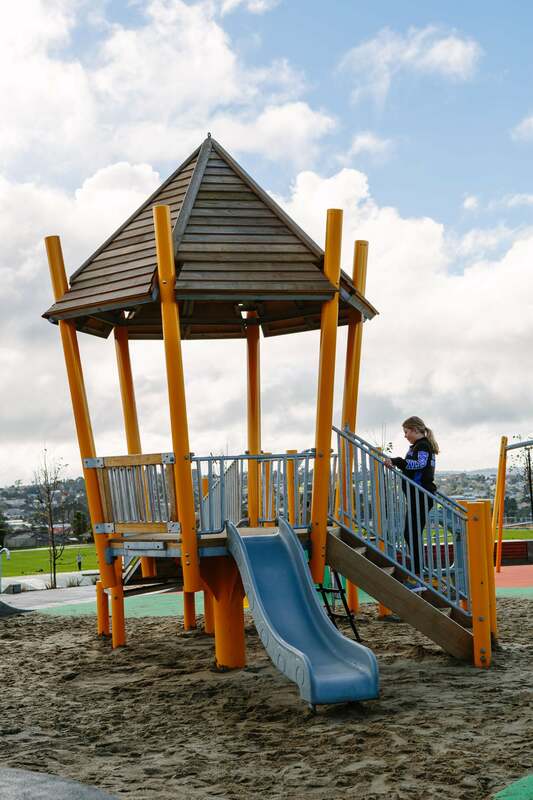 Auckland Council is not leaving the development of their city to chance. 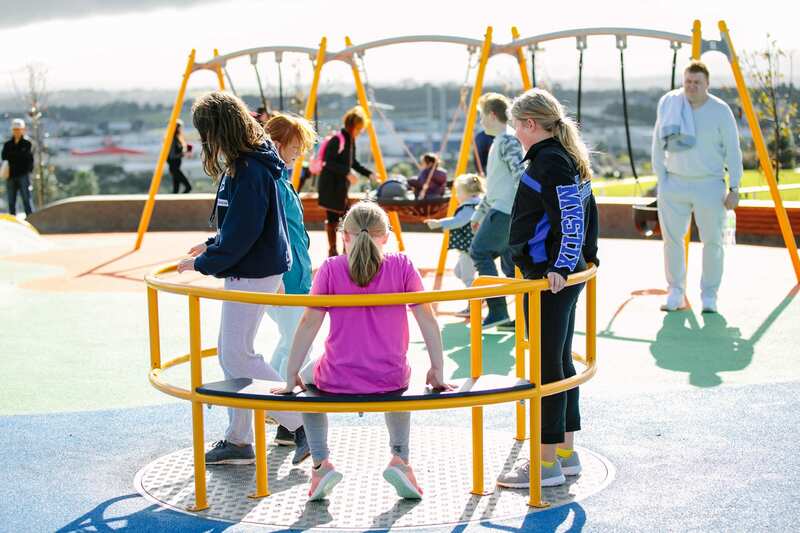 With a strong vision to be the world’s most liveable city, the Council has a 30-year strategy in place called the Auckland Plan. 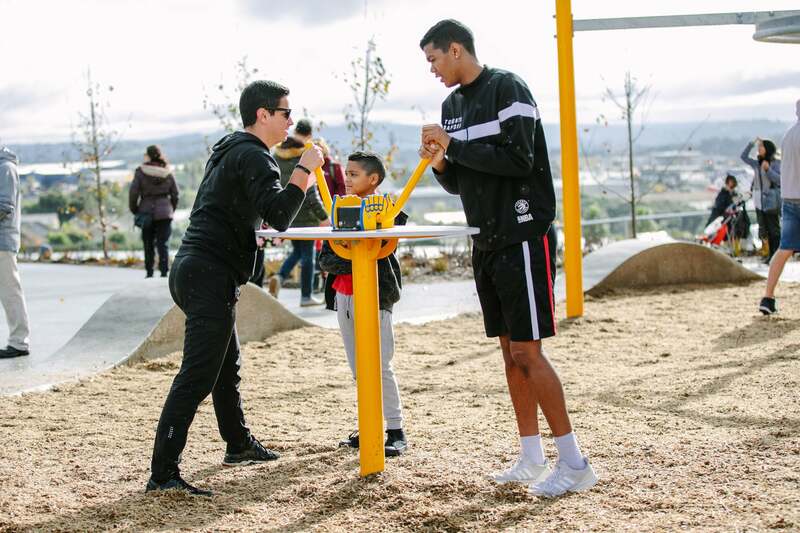 Key to the plan is to create recreational spaces where people can come together, with particular focus on facilities with health and environmental benefits. 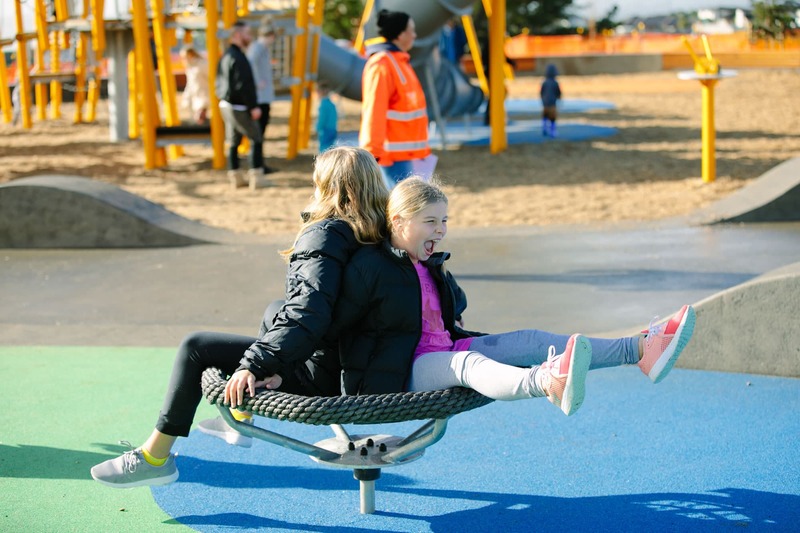 Their aim is to increase the number of Aucklanders participating in sport and recreation every week from 79% to 90% by 2040. Part of this plan is of course, play! 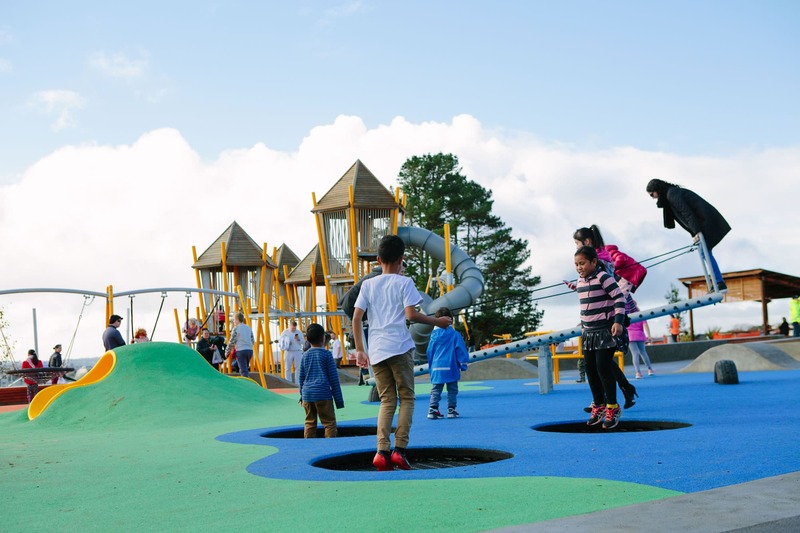 Auckland Council came to us with an initial sketch and concept for a new destination playground. 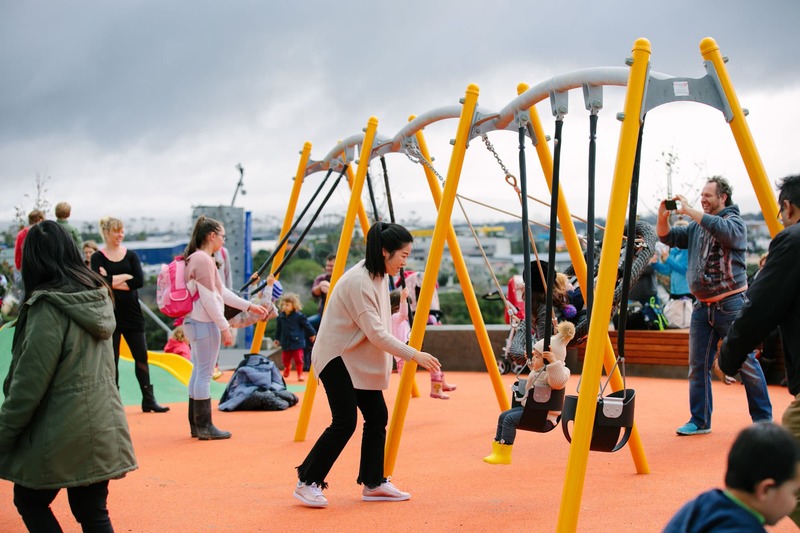 Embracing Auckland’s open space and greenways was a must, as was providing a range of inclusive, engaging equipment so the space could be enjoyed by everyone. 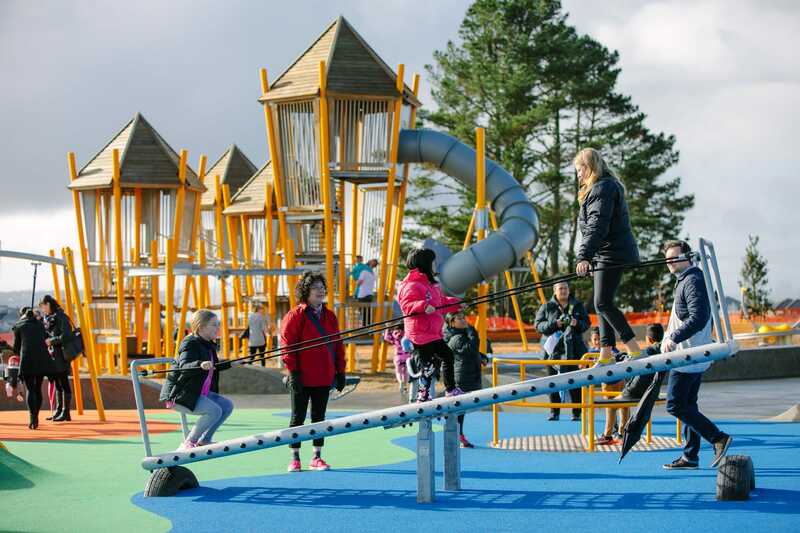 A project like the Royal Road Reserve encompasses everything Playground Centre is about: bespoke offerings, strategic advice and a result that offers social and health benefits, not to mention: fun! 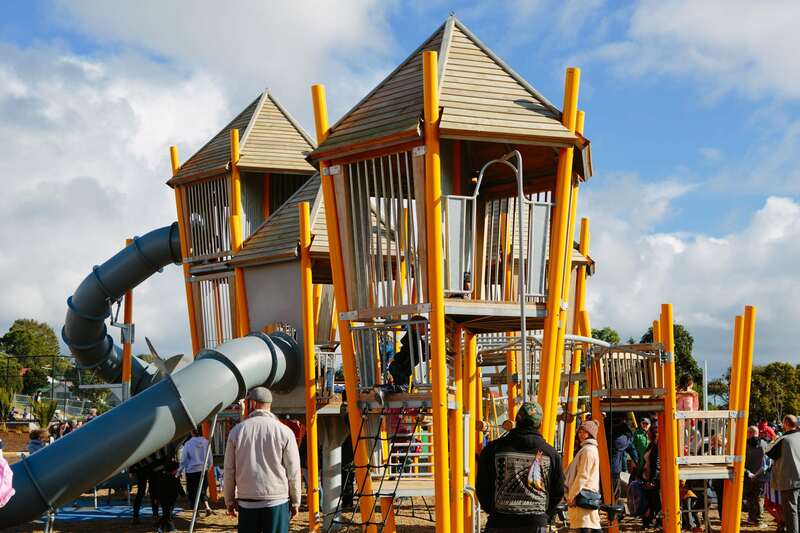 We were very excited to be able to work with Council to bring this project to life. 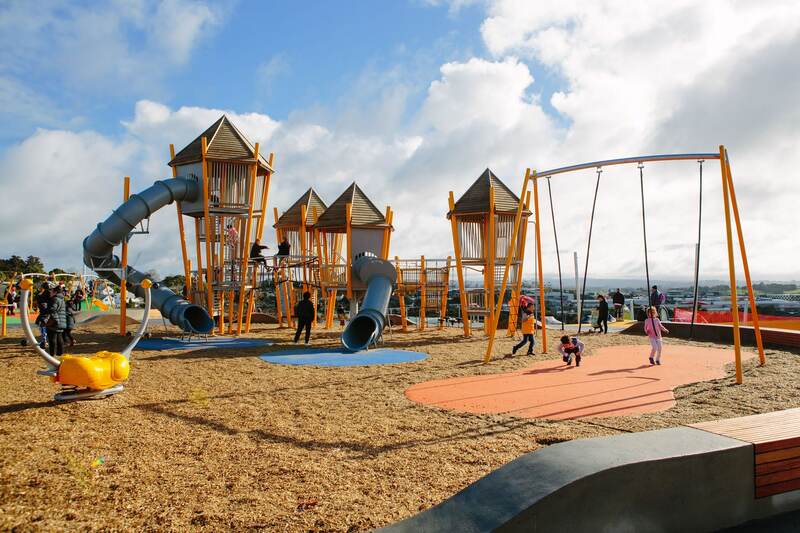 Now complete, Royal Road Reserve is a wonderland of play – a true destination playground. 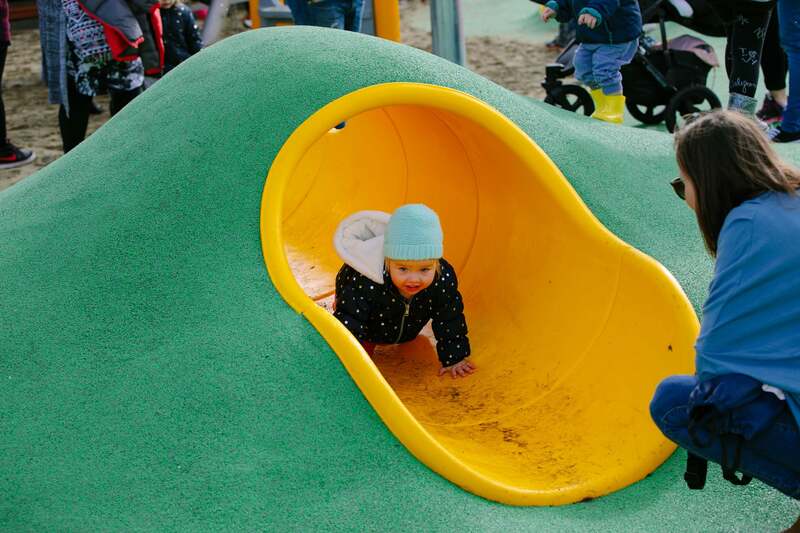 There’s excitement around every corner – multiple entrances, angles and activities for everyone! It’s a huge space that welcomes all, with a variety of focal points, heights, textures and shapes to hold attention. 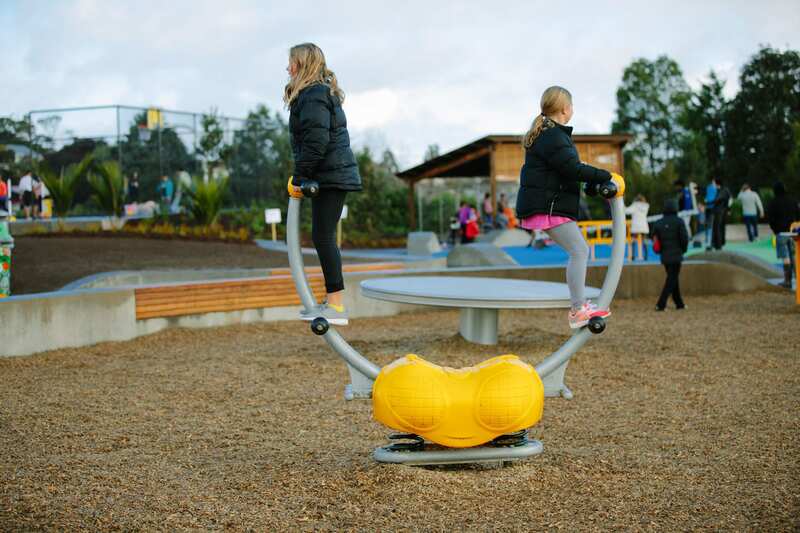 Made for sharing experiences the equipment has been designed to fit multiple users at once. We ramped up our tower design, taking the concept further again with more angular shapes and posts, resulting in a fairytale style structure that immediately creates a sense of wonder. 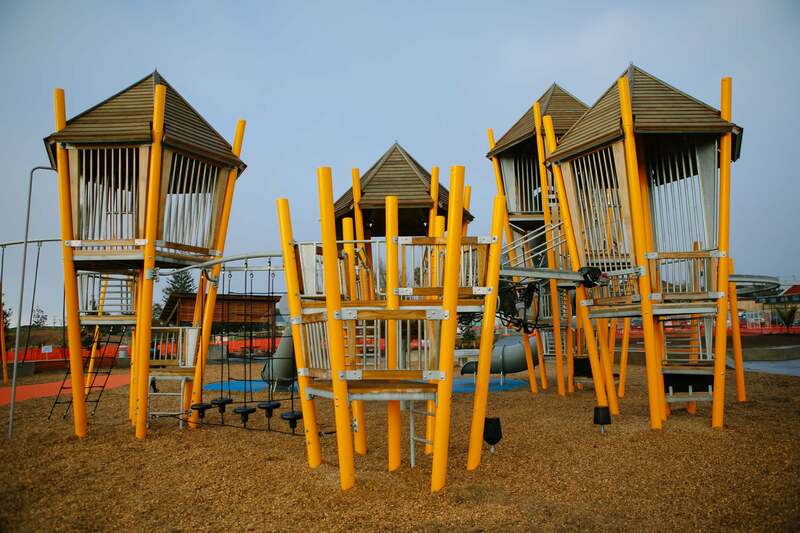 The area features one tower on the main structure, which also incorporates sand play and five others alongside. 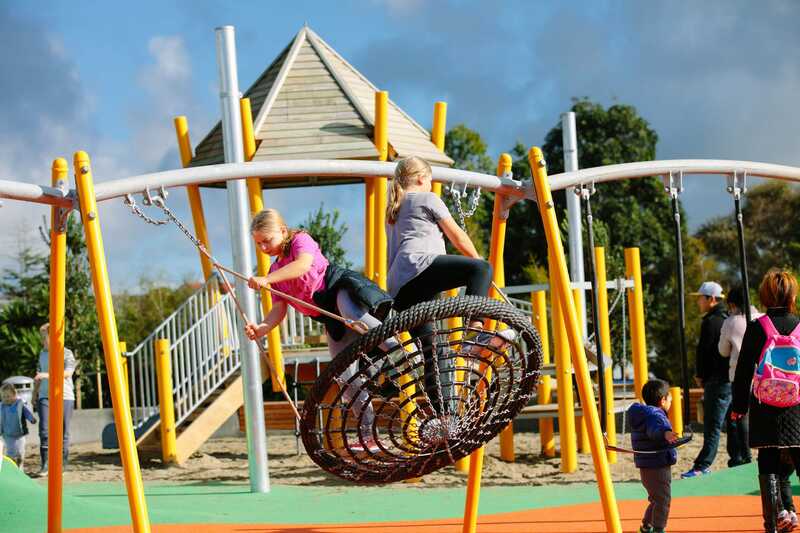 Another key highlight is a super mega swing that goes three metres in the air, while meeting all the safety standards. Now families can answer the call of “higher, higher” safely! 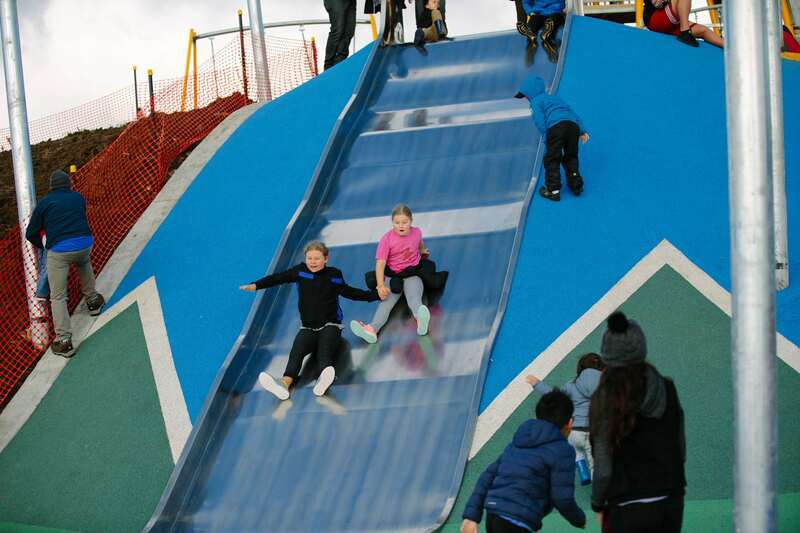 Also a popular piece is the 5.5m high by 2.2m wide mammoth stainless steel slide that has a sliding surface of 12+ metres and allows for several fun lovers to use at once. 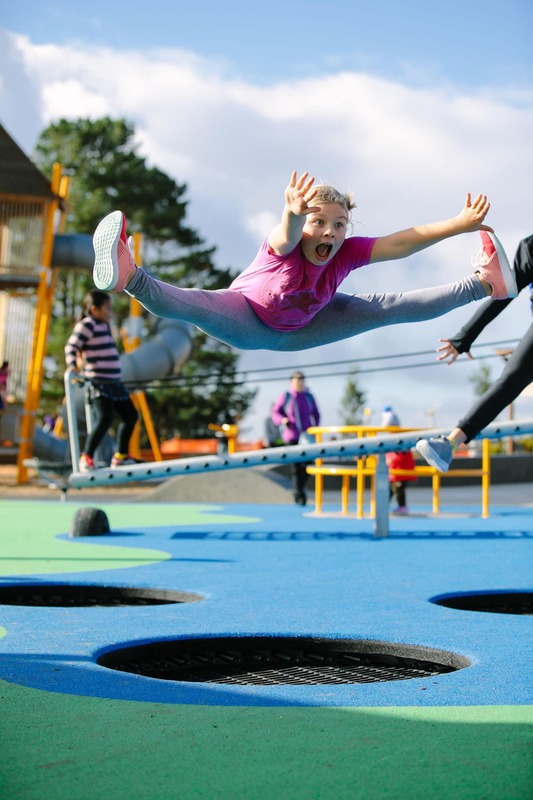 A host of other equipment such as trampolines, carousels, swings, tunnels and climbing ropes round out the space. Every aspect was designed in consultation with our client and created specifically for the project. It’s a truly impressive space that’s a haven for fun for everyone. 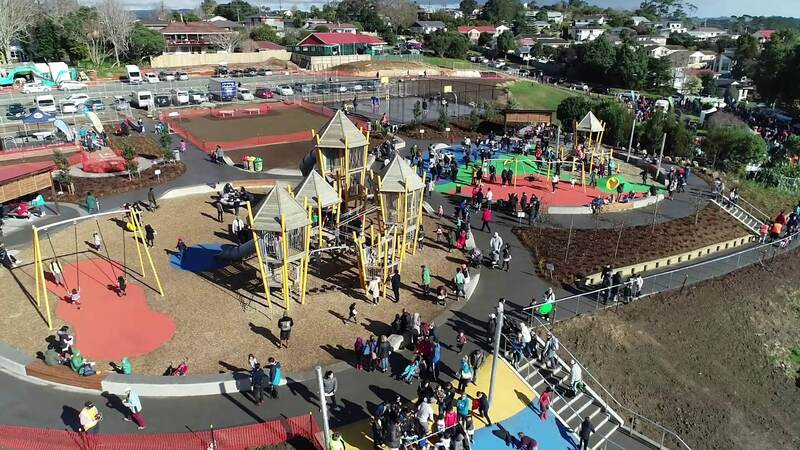 Even out of town visitors won’t want to miss checking out Royal Road Reserve – making this facility a gem in Auckland’s quest to become the world’s most liveable city.